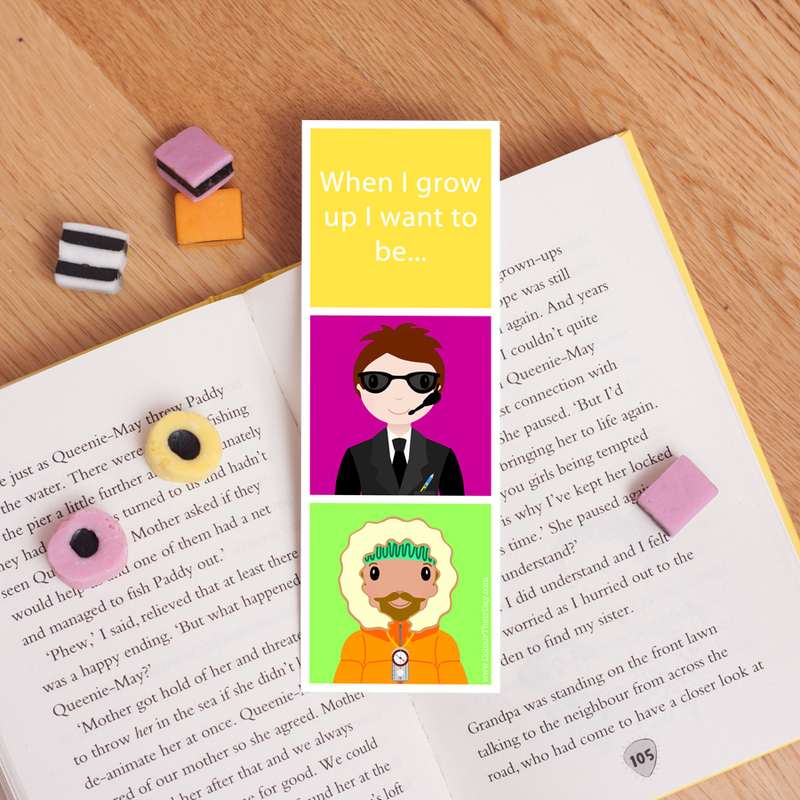 This ‘I Want To Be’ boy’s bookmark is a perfect gift for any boy, that will make reading time even more fun and colourful. The bookmark is double sided so is very thick and robust. The design features five cheerful boy characters, all positioned in brightly coloured squares. 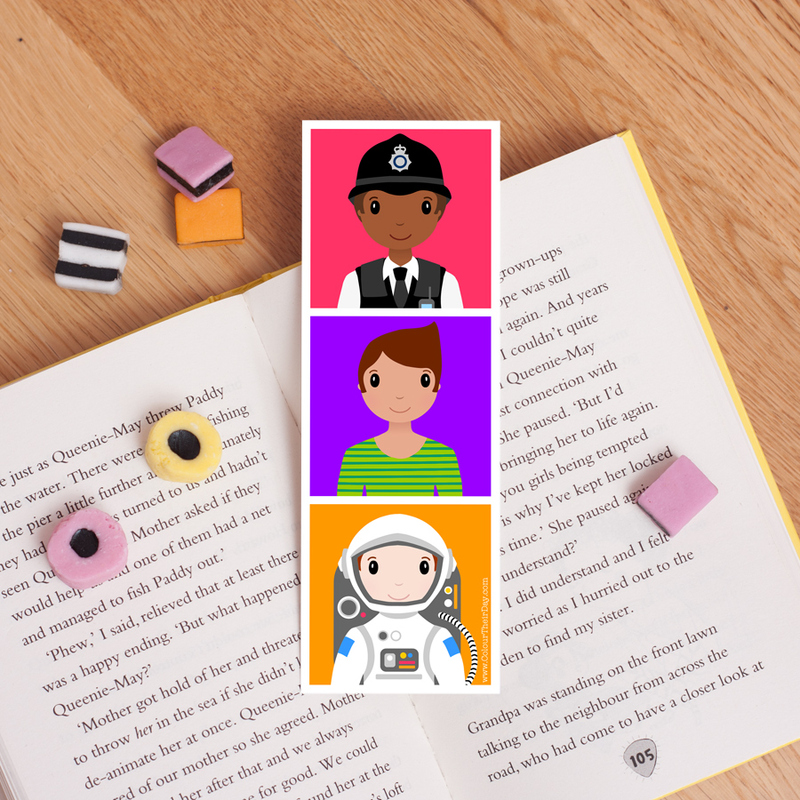 There is a police officer, musician and astronaut on one side and a secret agent and explorer on the reverse side. It also has the text ‘When I grow up I want to be…’ printed at the top. 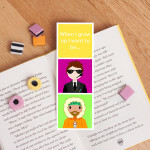 Be the first to review “I Want To Be – Boys Double Sided Bookmark” Click here to cancel reply.